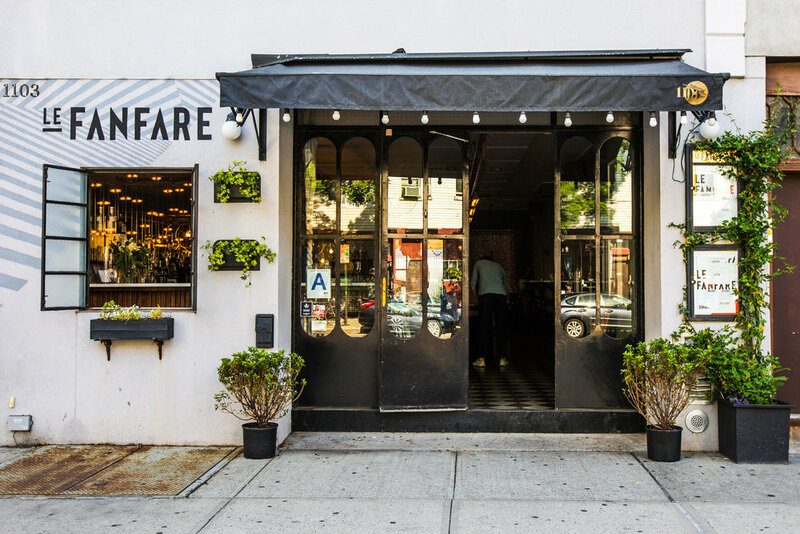 Le Fanfare is a beautiful and warm authentic Italian restaurant in Greenpoint from the owners of Nolita darling, Epistrophy Café. Tucked at the end of Manhattan Avenue and situated among the traditional Polish bakeries and butchers, Le Fanfare features simple Italian cooking and live jazz music, paired with an all Italian wine list and classic cocktails. The owners, Jazz musician Luca Fadda, his wife Giorgia and their life-long friend Nicola Paganelli (whose family owns the Meloni winery in their native Sardinia, Italy), felt the energy in Greenpoint was similar to Nolita fifteen years ago, and so it was the perfect place to open their next project. Our kitchen offers the highest quality ingredients presented in an honest and inviting way. All the pastas and breads are made in house. The meticulously sourced ingredients create seasonal Italian food by way of regional products. Milan artist and architect Giuseppe Amato helped design the space, a play on contrasts, both traditional and modern as well as sophisticated yet comfortable. 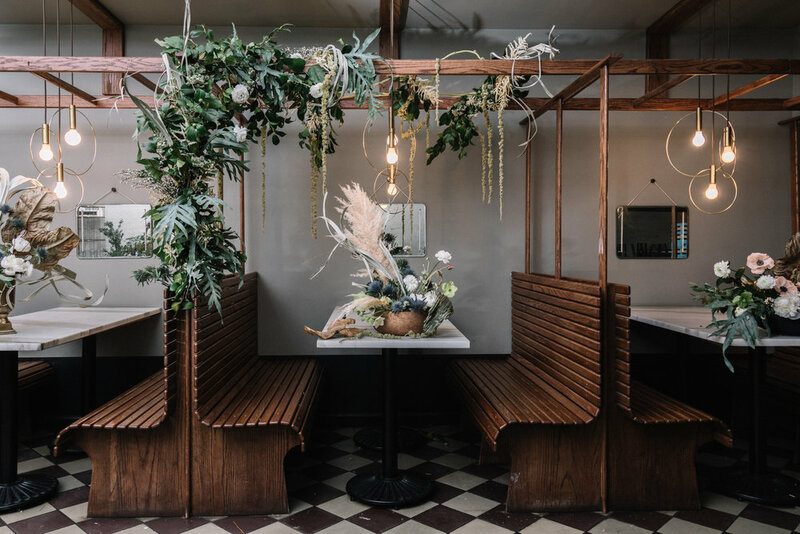 Two communal tables stretch the length of the intimate restaurant (that can seat 20 and 18 people, respectively or can be combined to seat 38), flanked by beautiful wooden booths and marble tables for two along the opposite wall. Le Fanfare’s philosophy is simple: Offer rustic, simple and excellent Italian cuisine in an enticing and warm environment complimented by a beautiful wine and cocktail offerings with a live jazz soundtrack. 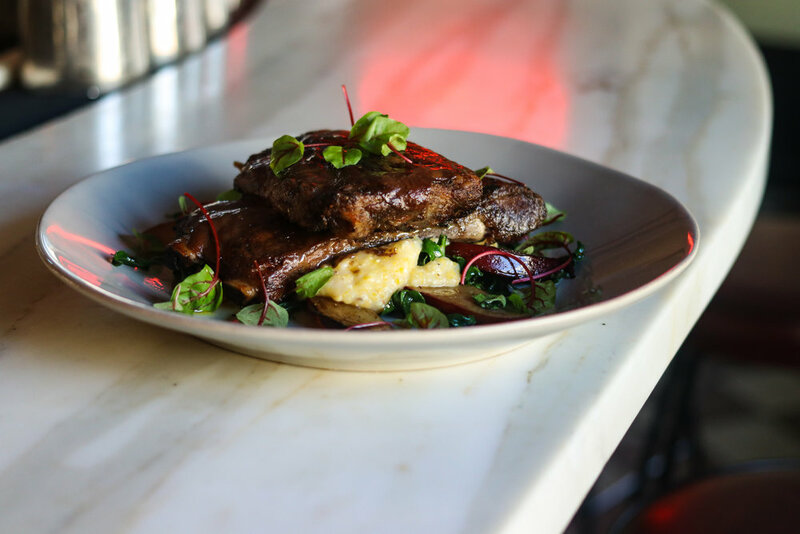 Le Fanfare is committed to using the best ingredients for our recipes, selecting local products whenever possible, seeking USDA Organic Certified meat, as well as hormone and antibiotic free, and grass-fed. The seafood is selected following the Monterey Bay Aquarium Seafood Watch Guide to guarantee sustainable seafood, no longer serving items from the red “Avoid” list. Several wines on our list are made from grapes that are organically grown, and we bake our bread and make fresh pasta in the restaurant everyday! Visit our other restaurant Epistrophy Cafe in Nolita. Ash St.- West St. - Greenpoint Ave - Provost St.